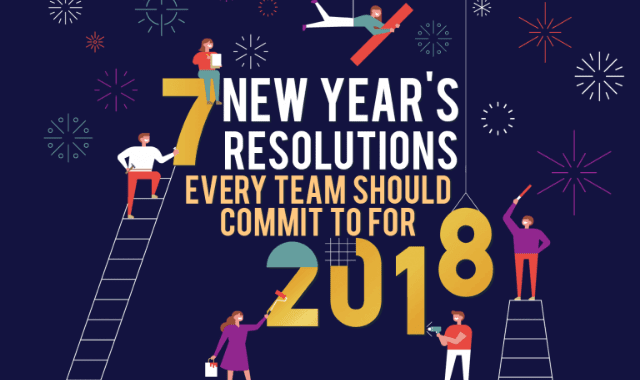 7 New Year’s Resolutions Every Team Should Commit to for 2018 #Infographic ~ Visualistan '+g+"
2017 is over, and once again, it’s time for people to set their goals for the year ahead. In every goal-setting comes the creation of new year’s resolutions, not just for your personal life but also for your career. You can create new year’s resolutions along with your team members to work towards a more prosperous professional life. Studies show that 25% of people who create new year’s resolutions give up by the first week of January, but there’s 46% who commit to them for six months and 8% who keep them for a whole year.